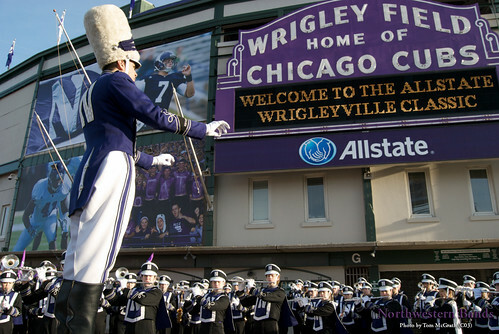 APRIL 18, 2014 — CHICAGO, ILL. — "We have been invited to perform the national anthem and a few other tunes at the 100th anniversary of the opening of Wrigley Field," says Daniel J. Farris, director of the Northwestern University "Wildcat" Marching Band. The band and other dignataries including Major League Baseball commissioner Bud Selig and Dutchie Caray, widow of the the late legendary Harry Caray, will be on hand for the celebration on April 23. The Chicago Cubs will host the Arizona Diamondbacks in the 1.20 p.m. game, which comes exactly one century after Weeghman Park—now Wrigley Field—hosted baseball. 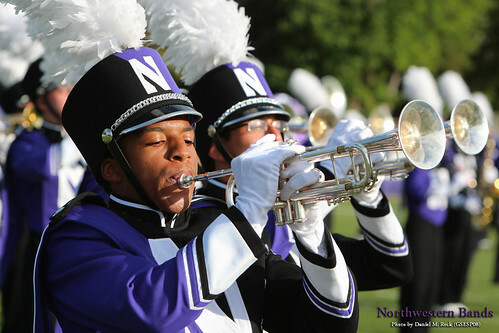 "After both starting lineups are announced, members of the Northwestern University marching band will take the field, which was customary for Opening Day and other special events during the ballpark's first two decades," writes MLB.com's Carrie Muskat. 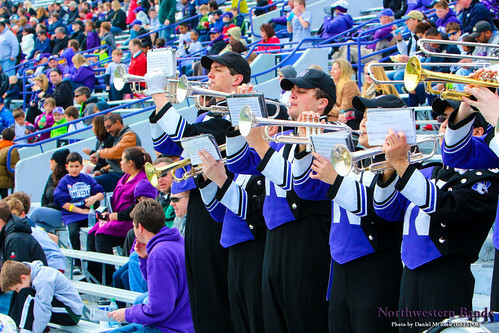 APRIL 10, 2014 — EVANSTON, ILL. — Northwestern University football fans are invited to a free spring football game at Ryan Field this weekend. Ryan Field gates will open at 9 a.m. Saturday. 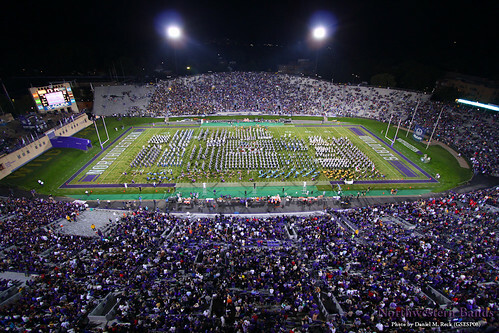 "This is always a fun event and a great way to get fired up for next fall," says Daniel J. Farris, director of the Northwestern University "Wildcat" Marching Band, which will perform as the Wildcat football team practices on the field. The Wildcat team will begin its practice at 10 a.m. and continue until about noon. Concession stands will be open during the event. FEBRUARY 7, 2014 — EVANSTON, ILL. — It is going to look a bit different at Ryan Field in the fall. 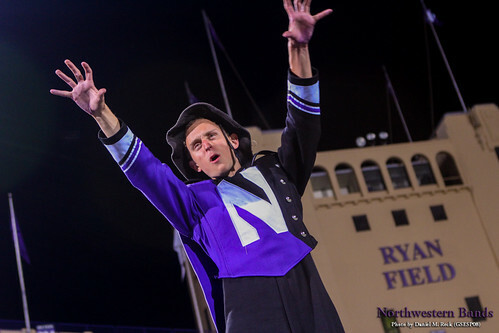 The Northwestern University "Wildcat" Marching Band and the student seating section are moving to the southeast side of the stadium as reported by Alex Putterman in The Daily Northwestern. "The new location [for the band] is in the bottom of section 111 on the east side of the field," says Daniel J. Farris, Director of the Wildcat Band. "This is essentially an inverted mirror of where we were before, changing from the northwest side to the southeast side. " About 5,000 students will join the band on that side of the field in sections 111-114. This is roughly the same number as in the previous sections. "Better seats, more TV time, no camera cart blocking the goal line, ability to actually see the video board," read a Facebook post from Gram Bowsher, president of the Wildside, Northwestern's student spirit organization.